In a move that has caught everyone by surprise, Steam, the world’s biggest online distributor of video games, has stopped accepting Bitcoin for purchases originating from the Russian territory. According to an online report, a Steam user named Eliot the Cougar could no longer purchase items using Bitcoin on May 14, despite having a successful purchase on April 28. It was also reported that the support team of Steam failed to provide concrete answers regarding the removal of the Bitcoin payment option from the Steam users based in Russia. The news site quickly set up a US-based account to check out whether the Bitcoin option was still available in other regions. 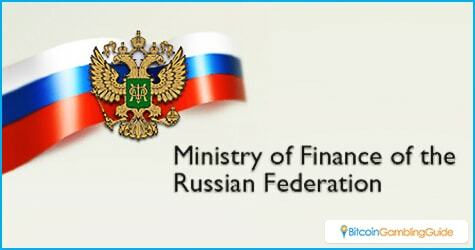 The results were that it seems that Russian-based users have been deprived of access to Bitcoin payments. This was later confirmed by a message from a tech support representative from Steam that said that Bitcoin payments for Russia would be stopped. This recent problem with Bitcoin acceptance is just the latest in the troubles that Bitcoin faces when operating in Russia. For example, the past year has been riddled with rumors about how Russia will be banning Bitcoin and other cryptocurrencies. Talk about harsh penalties has been bandied about. Then there were the comments from the Russian finance ministry about prison sentences for those dealing with Bitcoin. This sort of reaction may seem like too much, but Russia has always been leery of any disruptive influences and Bitcoin is very disruptive. For one, it can be difficult to control. As a digital currency, Bitcoin is being given value by its online network. This network is under nobody’s control and is one of the prime reasons that Russia dislikes it. The Russian government likes to keep a tight grip on its economy, even now in the days of the free market. Having a potential rogue element operating in its economy makes Russia nervous. Another reason for Russia’s dislike for Bitcoin is its association with gambling. The Russian government has taken a very hardline with the gambling establishment. Offline casinos have been restricted and have heavy taxes levied on them. Bitcoin allows people to gamble online by skirting around the standard banking options. Though online gambling with Bitcoins is technically not illegal in Russia, this grey area of the law has made Russian gaming regulators dislike Bitcoin a lot. Until recently, Bitcoin payment via Steam in Russia was one of the few high-profile means by which users could use their bitcoins. With the removal of Bitcoin payment, other merchants operating in Russia will be wary of turning to Bitcoin as a payment option. This is a definite setback for those who are pushing for further Bitcoin adoption in Russian territory. 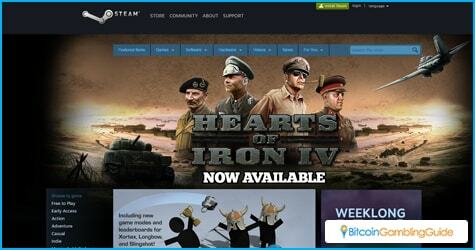 Bitcoin can still be used to buy Steam games, but only through third-party suppliers.